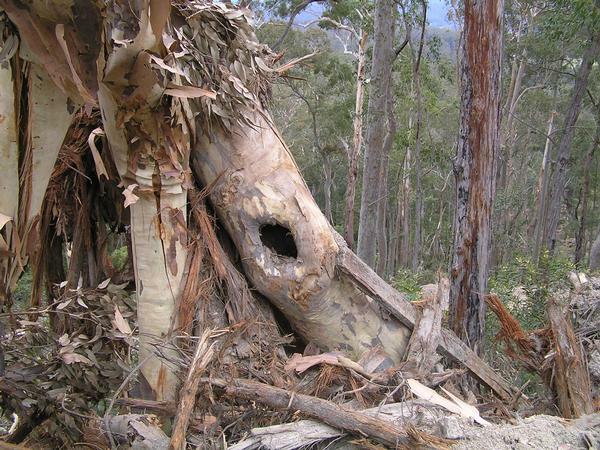 Ironbark Firewood: receiving stolen forests? 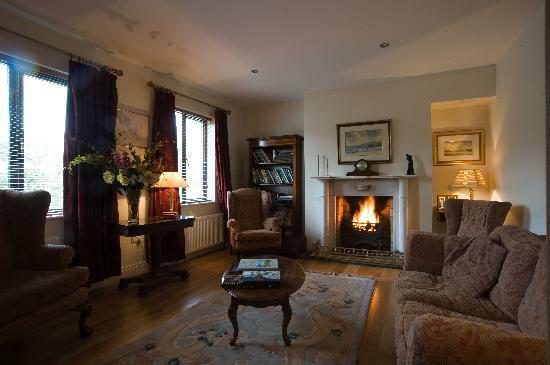 During Australia’s winter months, many in older homes habitually yearn for the warmth and glow of a traditional Wood Fire, and so utilise their open fire places and wood heaters. So habitually, upon the onset of winter people stock up on Firewood. 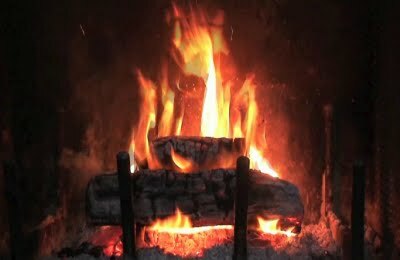 It is a cultural yearning for the nostalgia of the Wood Fire – warm, earthy, dancing flames, flickering, spark spitting, the woodsmoke – we’ve all been there, it is tantalising and it feels right because it is natural – the ancient campfire tradition across humanity. In doing the Wood Fire ritual, we seek to rekindle our connection to Nature. In earlier times when a few hundred of us settled in a given forest region, few forest resources were taken and so the forests replenished and seemed to cope. The forests were naturally resilient. But as subsequent human hoards have invaded the land, and have bred and sprawled across the countryside in the hundreds of thousands, we have deforested entire forests in the process. These forests haven’t coped with the devastation. No forest could cope. Australia’s native forests have been hacked, logged, burned and bulldozed into agrarian pasture to the horizon. Australia’s original blanket vegetation cover has been reduced to sad islands barely able to support wildlife habitat and in many cases causing extinctions – locally, regionally and nationally. All one needs do is a Google Earth search to appreciate the devastation on the natural landscape. 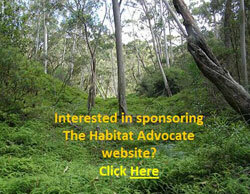 Humanity’s sheer numbers and the encouraged consumption rate of Australians risk exacerbating the deforestation. Contemporary Australia is simply extending and perpetuating the old colonial exploitive mindset and a lifestyle reminiscent of 19th Century invading colonists. The cultural heritage of the Wood Fire is necessarily contributing to this deforestation, particularly to Australia’s native Box-Ironbark Forests. For Australians to continue to yearn for the glow, warmth and woodsmoke of the traditional Wood Fire now that we number in the hundreds of thousands, if not millions, and so the aggregate consumption of timber for firewood has simply become unsustainable. Our native forests have become too small and disparate to sustain wildlife breeding. The few shrinking native forests that our forebears and their frenzied clearing have left us, simply are disappearing. Australia’s remnant native forests continue to be destroyed by us just to serve this selfish cultural yearning for earthy nostalgia of the Wood Fire. The same applies to all woodheaters. The Australian Wood Fire cultural imperative through winter has become a driver of forest extinctions. There have become too many of us wanting tonnes of the forest to burn in our open fires and wood heaters, and too few forests left. Australia’s firewood demand is driving deforestation. 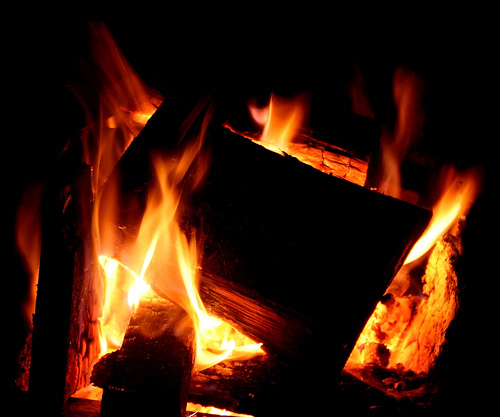 There is estimated to be around 800,000 wood heaters and 700,000 open fire places in Australia (ANZECC, 2001). 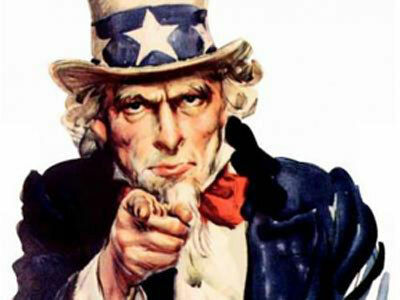 There combined use is unsustainable and has got to stop! We need to question this inherited and habitual Open Fire/Woodheater culture and the devastating impact it is causing to our native forests. “One of the hidden environmental issues affecting Australia’s woodlands, the collection of firewood, is starting to be revealed. CSIRO has prepared a report, Impact and Use of Firewood in Australia, pointing out alarming environmental problems. Firewood taken from a native forest for personal use is one thing. The scale and severity of adverse impact upon forest ecology will vary according to the amount taken and the ecological sensitivity of the place it is taken from. Few domestic takers of firewood will be qualified ecologists and so will have no or little comprehension or respect for such impacts. 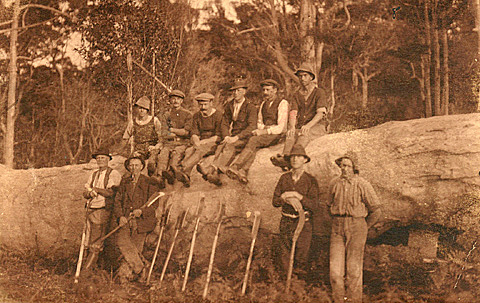 Across Australia, access to State Forests is unfettered and the collecting of firewood for personal (domestic) consumption is an uncontrolled free-for-all, little improved from the exploitative mindset of Australia’s early and more ignorant colonists. It is Australia’s Commercial Firewood Industry that contributes to the demise of Australia’s remnant native forests by its ‘death by a thousand cuts‘. Commercial Firewood entails the direct taking of wood from Australia’s native forests for commercial sale and profit. It is of a scale far greater than domestic forewood collecting, but where are the statistics kept and publicised by the Australian Government? 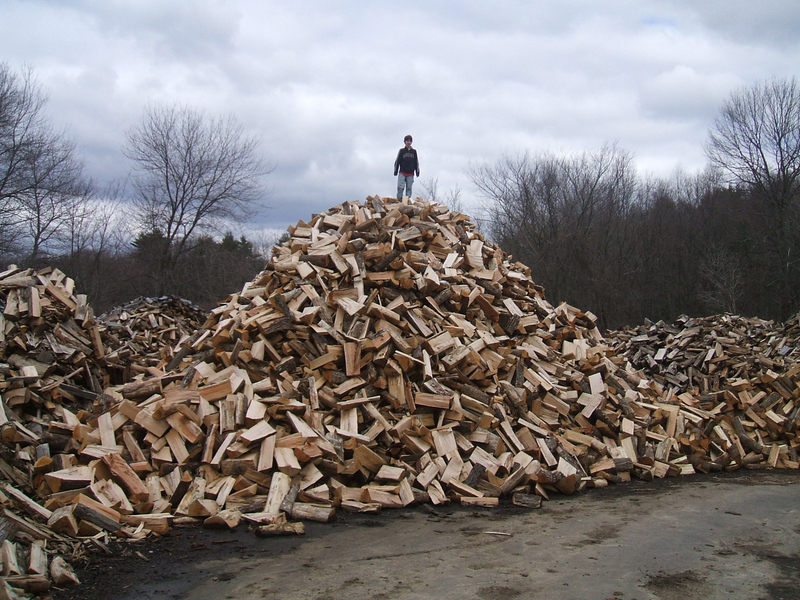 Just as demand for firewood drive supply, the artificial low economic cost of firewood encourages demand volume. Since firewood is sold a low cost, it competes favourably with jalternatiuve sources of fuel, such as gas and electricity, for domestic heating. Commercial firewood suppliers also deliberately appeal to the Wood Fire cultural image to encourage their firewood sales. Suppliers and consusmers thus feed off each other at low cost and high volumes, and so more native forests lose out. The low or no cost availability of timber from State Forests Native timber means that the industry operates on an industrial scale taking vast quantities of timber, particularly from the preferred hardwood Box-Ironbark Forests and the like. 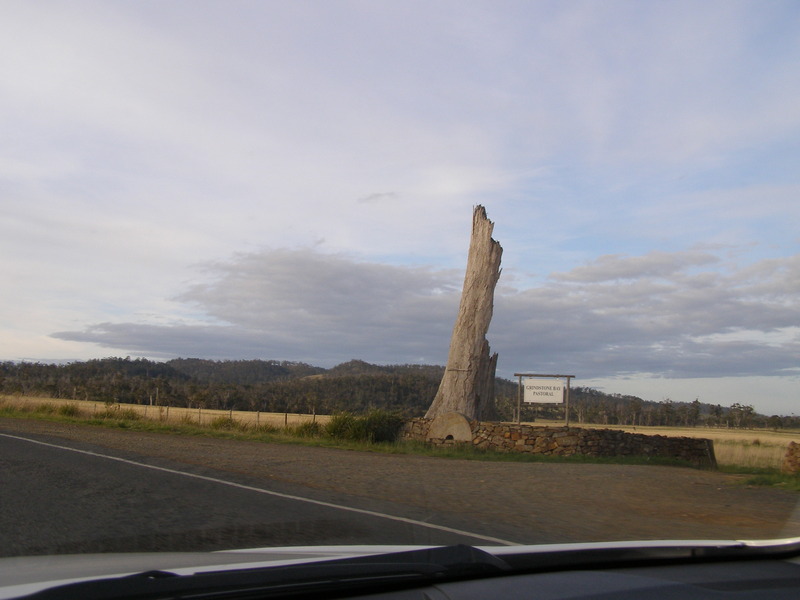 The Commerical Firewood Industry is encouraged by the Australian Government and by all state governments, which ignore the practice as if Australia’s natuve forests are unlimited, as if it had no adverse ecological impact upon the forest ecologies, as if it didn’t matter, as if there were no tomorrow. Across Australia, each state government issues cheap permits for collecting firewood from State Forests. An antiquainted colonist mindset persisting throughout the dominating Liberal and Labor parties. The ecological impacts and the plethora of ecological advice and warnings about the destructive impacts of logging on forest ecology are being ignored. Australia’s Commercial Firewood Industry fuels demand for cheap firewood and in the process exacerbates Australia’s deforestation. Australia’s Firewood Industry is unsustainable and has got to be nationally controlled. We need to challenge this exploitative industry and correct ignorant government policies. We need to find alternatives to the Wood Fire to stem the devastation of Australia’s remaining native forests and to help prevent more wildlife extinctions. ‘Forest Eco-theft’ involves the immoral taking of timber from a native forest, especially in large industrial quantities, for commercial gain and incurring no or little economic cost to the taker. 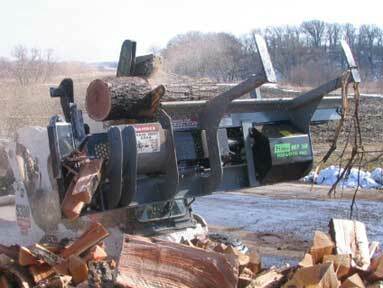 The intended or actual use of the timber is irrelevent, but may include logs, firewood, craft timber, or woodchips. The greater the timber volume taken, the greater impact upon a forest and so the more serious the Eco-theft. Forest Eco-theft in an environment of dwindling forest habitat has become a key threatening process. At the current rate of Forest Eco-theft, Australia’s native forests fueling our pleasure for earthy glows and hearth warmth, will be gone. Firewood Logging simply destroys forest habitat and contributes to the demise and local extinctions of threatened and endangered wildlife. Australia’s flora and fauna deaths and ultimate extinctions has become infamy – Australia currently has the worst record of mammalian extinctions on the planet, and the Firewood culture is contributing to it. Many consumers of firewood either actively couldn’t care, or else passively turn an insular blind eye to the adverse ecological impacts of firewood harvesting. Our Australian Government ignores the firewood deforestation problem, avoiding it for party political convenience – immorally, irresponsibly and unrepresentingly. Just as Poaching Wildlife is immoral, so too is Forest Eco-theft. Both these exploitative practices hark to colonial times and need to be banned. 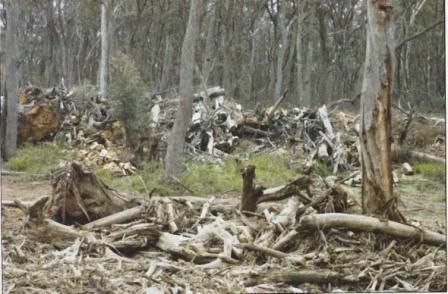 Firewood Logging of State Forest near Taralga NSW in 2006. [Source: ‘Habitat – Protection or Destruction‘, 2006, by Alan W Stephenson, Conservation Director, Australian Orchid Council Inc.
Why choose ‘Ironbark Firewood’ ? Why choose Ironbark Firewood ? Why not choose an alternative sources of fuel for home heating? Never thought to question the legitimacy of your fuel? 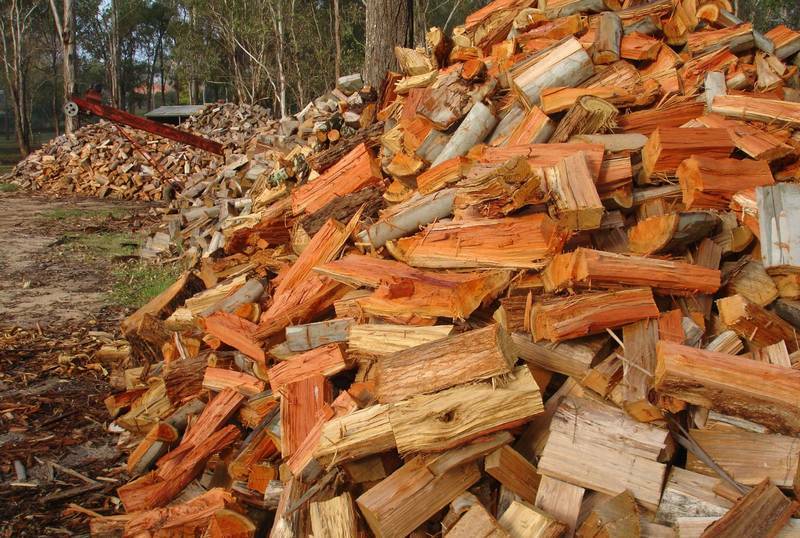 The most common type of firewood commerically sold and promoted in the eastern Australian states is Ironbark Firewood. This is typically sourced from Box-Ironbark Forests (native grassy woodlands). 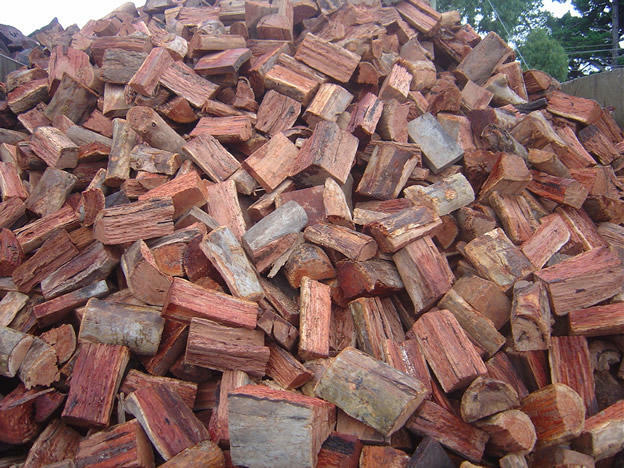 According to the Firewood Association of Australia (FAA), Ironbark and Box are the preferred firewood in Queensland, while in Victoria, southern NSW and South Australia, River Red Gum is preferred. Jarrah and Wandoo hardwood timbers are preferred in Western Australia, while in Tasmania, Brown Peppermint is considered the best firewood. 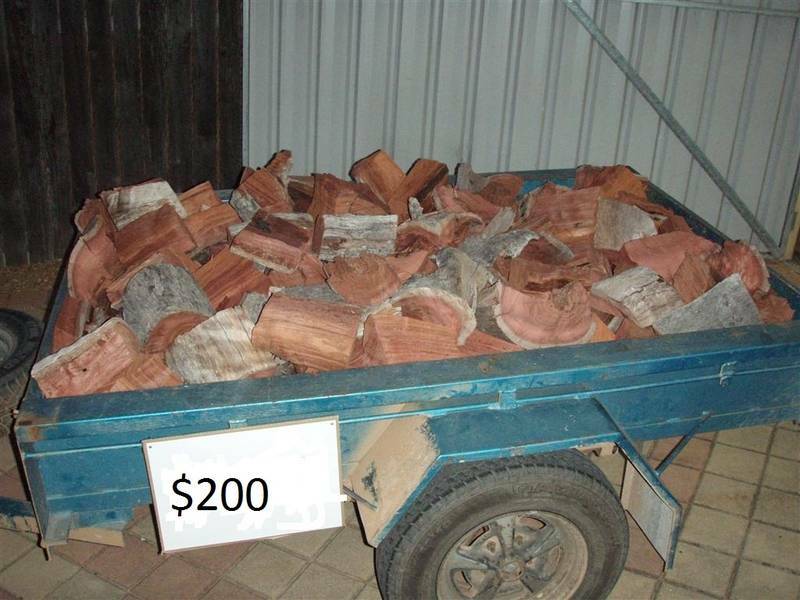 West Australian prized Jarrah cut up for cheap firewood? Sydney’s Firewood has been linked to ongoing Queensland land clearing, and in Queensland successive backward state governments have an ignoble reputation for land clearing like there’s no tomorrow. 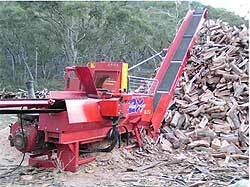 Landclearing in Queensland has become the major supplier of Sydney’s quality firewood. Most of Sydney’s big firewood companies now rely on the Sunshine State for a significant proportion of ironbark and box logs – highly sought-after timbers because of their density. The National Parks Association says firewood from endangered Queensland woodlands is being used in homes across New South Wales. Back in 2001, the National Parks Association of NSW called on the NSW Government to limit the State’s use of firewood following revelations that most of the wood sold by Sydney’s big firewood companies comes from clearing of Queenslands threatened Ironbark and Box woodlands. At the time, Mr Charlie Spiteri, the owner of Betta Burn Firewood, one of the biggest suppliers in Sydney, refused to reveal how much firewood he supplies each year but estimates that the Sydney region, including Katoomba, consumes about 100,000 tonnes. Spiteri said about a third of his supply was sourced from Queensland, where the wood is worth between $40 and $50 a cubic metre. By the time the freight reaches Sydney, it is worth up to $125 and is being snapped up. “People are choosing ironbark and box and we have to go where the timber is,” Mr Spiteri said. 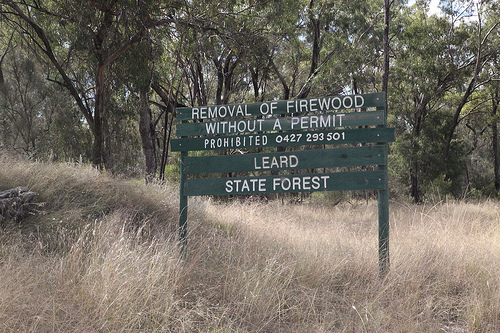 Other major sources of hardwoods for Betta Burn include the Pilliga State Forest in north-west NSW and private properties in the Nyngan area. But no-one knows for sure how much timber salvaged from the bulldozed woodlands of Queensland is making its way south of the border in convoys of semi-trailers. Firewood collection operates in a legal vacuum – especially on private land – and virtually no figures are kept for where wood is sourced or how it is collected. A typical commercial firewood truck – 2 tonne? Since then, over a decade ago, what has changed? Anything? Nothing? Has the problem gotten worse? In Victoria, few forest and woodland ecosystems are as poorly represented in parks and reserves as the distinctive Box-Ironbark ecosystems of northern Victoria. Since European settlement these forests and woodlands have been extensively cleared and fragmented for agriculture, urban development and gold mining, and cut for a variety of wood products. They once covered three million hectares of northern Victoria, but 83% of the original Box-Ironbark vegetation has now been cleared. Not only have the forests and woodlands been mostly cleared, but what is left is highly modified from its original structure and is also very fragmented. These remaining forests and woodlands are mostly on public land and these areas are ecologically important for a rich diversity of flora and fauna, many of which are rare or threatened. Box-Ironbark forests and woodlands are highly accessible and the visitor is rewarded by a vibrant array of bird species, carpets of wildflowers in Spring, the rich aroma of eucalypt nectar, and many sites of historical and cultural interest. Despite their apparent uniformity, these forests actually have great diversity with around 1 500 species of higher plants and over 250 vertebrate species recorded in the region; many are largely restricted to Box-Ironbark forests and woodlands. Some 297 Box-Ironbark plant species and 53 animal species are now classified as extinct, threatened or near-threatened. In addition, at least ten plant and animal species are known to have disappeared from the study area since the 1840s, and numerous others have become locally extinct. It is also clear and of great concern that many species, particularly birds, are known to be still declining. Accordingly, a key feature of Box-Ironbark nature conservation is the promotion of ‘recovery’ for many species, rather than simply maintaining the status quo. Many Australian animals are dependent upon large, old eucalypt trees which contain the hollows required for shelter and breeding. At least six of the threatened Box-Ironbark fauna species are strongly dependent upon these trees. The massive loss of large old trees over the last 150 years is strongly implicated in the decline of these species and perhaps many others. It is therefore recommended that as well as protecting existing large old trees, additional measures be taken to ensure that there will, over time, be more large old trees in the forests. ‘Why is Firewood so cheap? Ironbark is a preferred firewood in eastern Australia because it burns longer and hotter, so Australia’s native Ironbark forests continue to be logged for firewood. The Australian hardwood timber industry now mainly relies upon plantation timbers and sustainable forestry management practices. 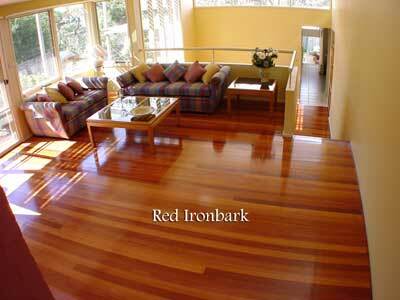 Australian Ironbark Flooring retails at a premium price at typically over $80/m2 at 19mm thick. If that square meter of flooring was stacked one metre high to achieve a cubic metre, the calculated retail price for a cubic metre would be (1000m/19mm = 50 layers of flooring roughly, making the retail price for a cubic metre of Ironbark flooring around $80 x 50 = $5600/m3! so firewood suppliers take the Ironbark out of State Forests instead. But commercial suppliers of firewood do not own plantation timber, nor do they buy their firewood from plantation timber growers. They certainly do not pay $5,600/m3 for firewood. Commercial firewood is generally sold at considerable profit at under $160/m3, reducing in price according to volume purchased. 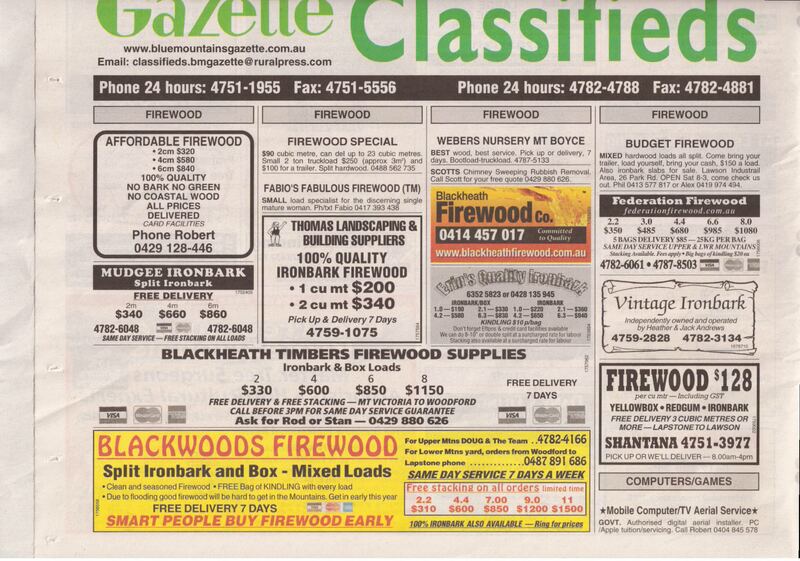 Why would an commercial grower of plantation Ironbark hardwood sell the timber for firewood at $160/m3, when as flooring the typical market price is a factor of some 35 times greater at $5600/m3? Commercial Firewood taken from native forests means that the $160 selling price is nearly all profit! Australia’s commercial firewood instead is simply taken from Australia’s native hardwood forests. It is simply taken from State Forests at no cost to the commercial operator, except for a pultry token permit fee. That is why it is sold so cheaply. 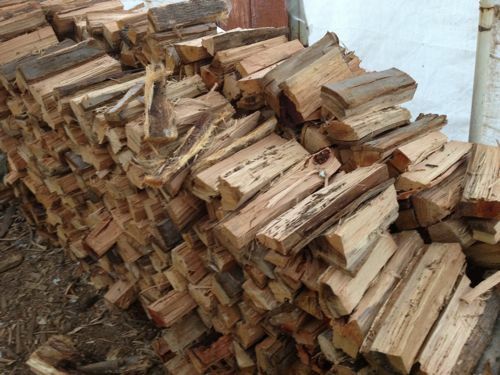 This is why firewood remains a cheap affordable source for domestic household heating. But the cost is artifically economic and excludes the ecological cost. How is this not Forest Eco-Theft? If the suppliers of Ironbark Firewood had to pay hardwood plantation owners a fair wholesale price for firewood, at such a high price their business model would be unviable. Firewood suppliers only exist because their business model relies upon firewood theft from dwindling State Forests, which continues to go unpoliced and ignored by the Australian Government. 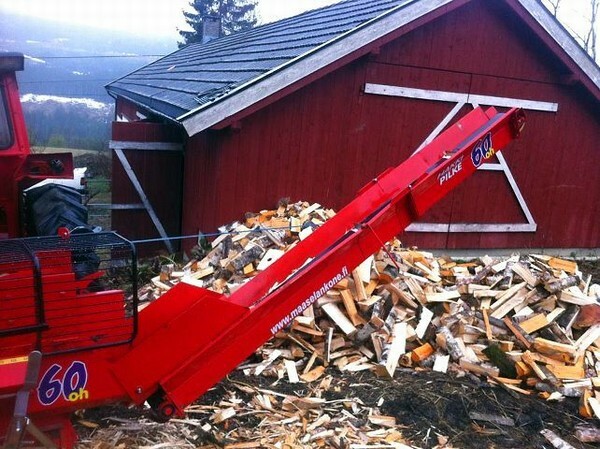 Where do YOU get your FIREWOOD from? Is it legal or eco-stolen? What is Australia’s Firewood Industry doing to protect Australia’s long exploited and dwindling Ironbark Forests from firewood theft by firewood suppliers? What is the Australian Government doing to prevent firewood theft from State Forests? 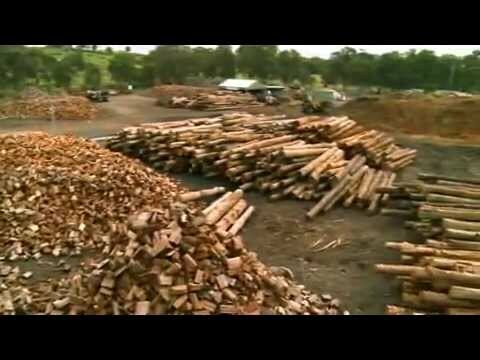 What is the Australian Government doing to monitor and control Australia’s firewood industry? Who in the Australian Government monitors the integrity and ecological protection of State Forests across New South Wales and indeed across Australia? 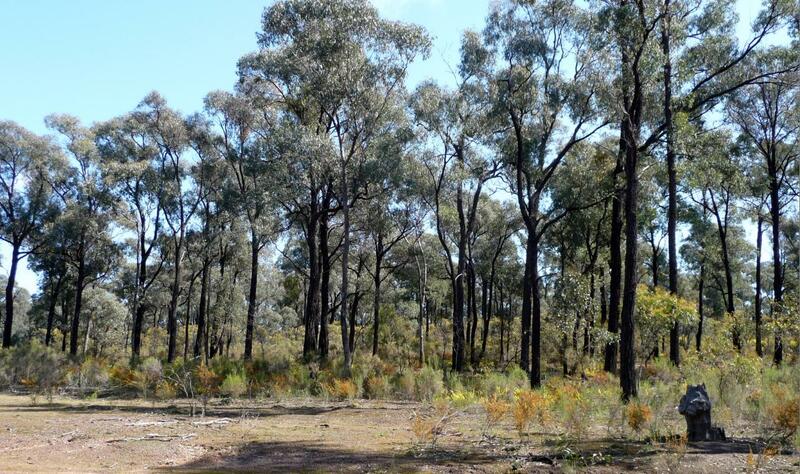 Where is the ongoing review and analysis into the ecological health of Box-Ironbark Forests (Grassy Woodlands) across New South Wales and Victoria? Why are the statistics on firewood theft from State Forests not collected and publicised? Who polices and penalises deforestation of State Forests? Isn’t it illegal to steal firewood from State Forests – living trees or deadwood? But from where do these firewood suppliers source their firewood? Not one of the above advertisements provides any proud statement about sourcing their wood ecologically responsibly, nor about being ecologically accredited. The default presumption thus is that none of these suppliers is environmentally responsible, nor accredited. So don’t buy from any of them! Is the advertised firewood sourced illegally from Australia’s disappearing Box-Ironbark Forests, and so exacerbating the deforestation problem? How do we know it isn’t? How simple is it for any common thief to buy a chainsaw, drive out to a patch of State Forest in a ute or in a truck or with a trailer in tow, then chainsaw several trees in a Box-Ironbark Forest, paying nothing for them, then flog the wood for personal profit? Too easy! Anyone can buy a chainsaw from a local garden tool supplier, even a kid. There are no chainsaw laws in Australia. It is treated like buying secateurs. Bunnings sells cheap chainsaws brand-new for just $200! 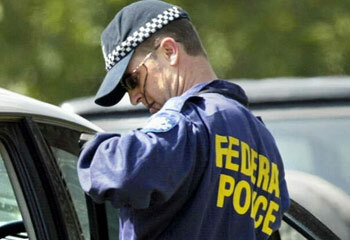 So armed with a trailer and chainsaw, a common thief has a lucrative business, one ignored by the Australian Government. With firewood retailing from $160/cubic metre, it is a nice little earner. This exploitative immoral trade in Ironbark Forest ecology is negligently condoned by the Australian Government and state governments. ‘Collecting firewood is one of humankind’s oldest activities. Australians enjoy the beauty and warmth of a wood fire, and in many regional areas wood fires are the only practical source of heating. Dead trees, often with hollows, make popular firewood as they are seasoned and burn well. But firewood collection comes at a cost to the environment, the consequences of which may not be entirely understood for years. Many firewood users are unaware of the ecological price of collecting dead trees and fallen logs. Often they mistakenly think they are just keeping the forest or farm tidy. Firewood harvesting has an effect on our native woodlands, and a variety of threatened species. Dead standing and fallen timber provides crucial habitat for numerous species of animals and birds. It is now recognised that the removal of this wood for firewood is contributing to a significant loss of wildlife, particularly in the woodlands of south-eastern Australia. It is not just native animals that benefit from old wood left lying on the ground. This debris is valuable shelter for stock too. How many times have you found a newborn calf or lamb against an old log safe from the weather? Cleaning up some messy dead timber – through whose eyes? 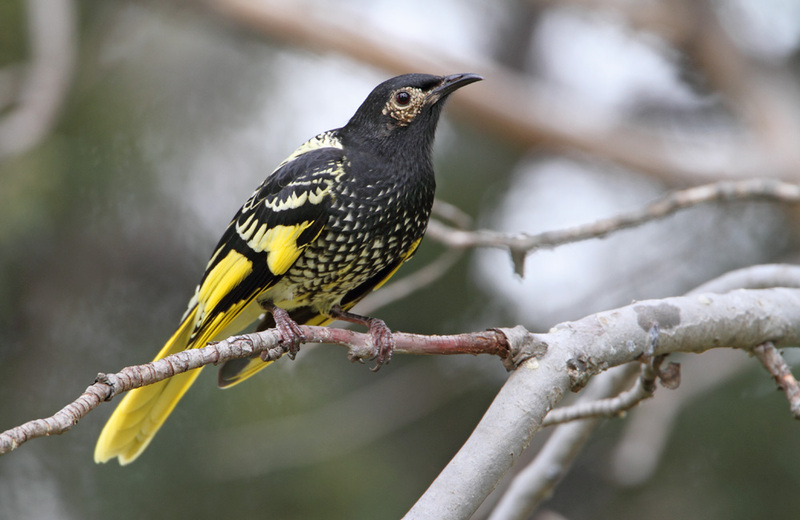 The Regent Honeyeater has become a ‘flagship species’ for conservation issues in the box-ironbark forest region of Victoria and New South Wales. Listed as endangered in Queensland and New South Wales, while in Victoria it is listed as threatened. Australia’s native Regent Honeyeater, was formerly more widely distributed in south-eastern mainland Australia from Rockhampton, Queensland to Adelaide, South Australia, but is now confined to Victoria and New South Wales, and is strongly associated with the western slopes of the Great Dividing Range. 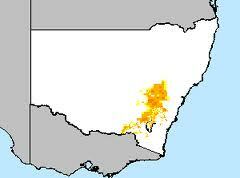 Its natural habitat is eucalypt forests and woodlands, including Box-Ironbark Forests. The Regent Honeyeater has been badly affected by land-clearing, with the clearance of the most fertile stands of nectar-producing trees and the poor health of many remnants, as well as competition for nectar from other honeyeaters, being the major problems. Birds Australia is helping to conserve Regent Honeyeaters as part of its Woodland Birds for Biodiversity project.